Colin Gibson wasn’t even sure he wanted to tackle the production design for Mad Max: Fury Road, but it certainly worked out for the Art Directors Guild award-winner and Oscar frontrunner. 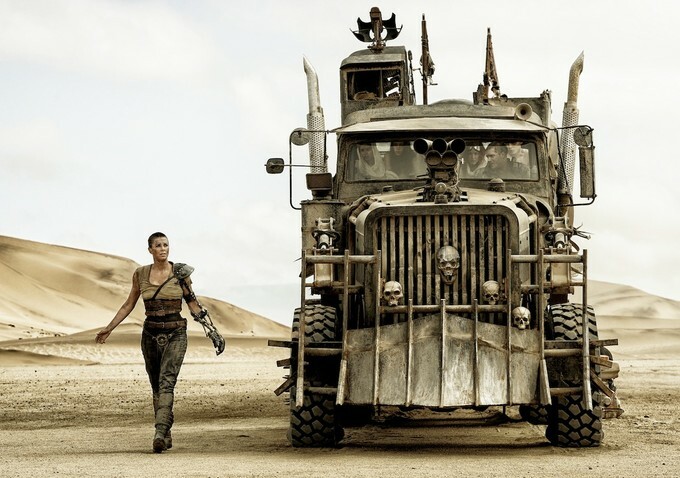 He re-imagined a fresh and arresting return to the post-apocalyptic wasteland that George Miller made famous. Gibson took all of the storyboards and “stepped back and did a philosophy, a history, a longing and a desire to each and every one of the characters. But the first priority was finding the right black desert landscape for the wasteland and a location that was also vehicle-friendly for racing. “The landscapes were a help but it needed a lot of work,” Gibson continued. “We rebuilt some of the canyons, we extended walls and we built more than 300 fake rocks to cover everything from small plants to 50-foot trees.